The goal is to ensure that people will be swayed and will want to buy from the breakfast menu. 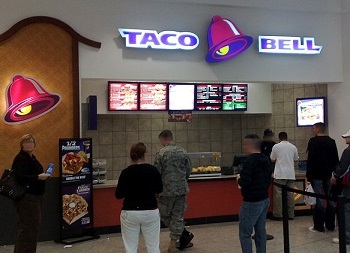 Taco Bell knows that the millennial generation is its primary target market, and the fast food company is now tracking its cell phone toting customers in order to be able to best design their mobile ads strategy. The idea is to reach these mobile device users the moment they get up in the morning to make them crave breakfast. Not just any breakfast, of course. The mobile ads are a part of a campaign to help to promote the new breakfast menu. Earlier this month, Taco Bell rolled out 10 new breakfast items with the highly affordable price tag of only $1 each. This is the latest step in encouraging people to think of their quick service restaurants for their first meal of the day – an effort that began back in 2014. 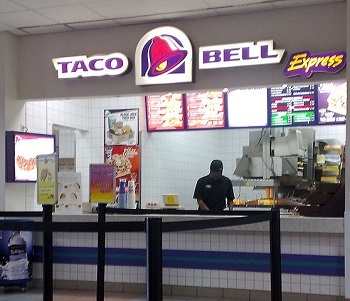 To make sure these mobile ads go out at the perfect moment, Taco Bell tracks customer phone activity and data. According to the Taco Bell vice president of media and brand partnerships, Juliete Corsinita, “We’ve honed our media skills over the last couple of years.” As a part of this effort, the company is also working with Aki, a mobile advertising firm that attempts to “target mobile moments”. The way Aki works is that it starts by tracking the phone activity and data of a mobile device user. This allows it to target its smartphone ads based on exceptionally specific habits and behaviors such as knowing which apps are used by a smartphone user first thing in the morning. It can learn the times of day when someone looks at a breakfast recipe as well as the favorite news apps for catching up on what’s going on in the world before the day begins. Taco Bell has also been tinkering with the Wishbone mobile app that makes it possible for users to ask their followers to complete mini-polls that have participants choosing their favorite images. When the app is opened, they’re asked which between two pictures is the best. Starting earlier this month, one of these efforts in mobile ads in disguise has asked people to choose between a piece of flat bread or the new flatbread quesadilla sold at the restaurants.